Explore Outback Queensland and beyond with Outback Aussie Tours, a multi-award winning touring company and Savannah Guides accredited operator. 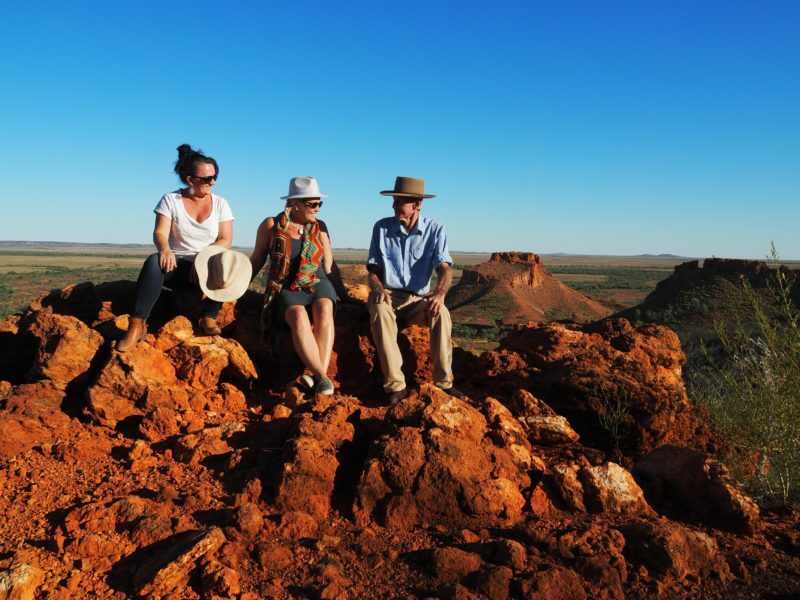 They will take you on a journey to discover the natural and cultural heritage to favoured Outback places like Longreach, Winton, Birdsville, Corner Country, Gulf Savannah, Cape York and Torres Strait. Come and experience the unique brand of hospitality, local knowledge and absolute connection with this land – their home – and its people. The legends of Australia’s Outback are brought alive by their guides’ storytelling and interpretation. Engage and share the stories of unforgettable characters; meet the families on sheep and cattle stations; enjoy exclusive dining experiences; travel on private bush tracks through stunning country. Guests stay in comfortable motels throughout and travel in fully air-conditioned, custom-built vehicles designed to meet Outback conditions. All tours conveniently connect with rail or air transfers and their team will be there to greet you when you arrive. With over 30 years experience operating in the region, Outback Aussie Tours must be your first choice for Outback touring and charters. Come and experience the Outback with a local specialist and turn their stories into your next adventure. The ideal short break in Outback Queensland, this five day package features four nights in Longreach, a day tour to Winton and all of the top Longreach attractions. Their tour begins with a dinner at the historic Wellshot Hotel in Ilfracombe. Visit the Longreach School of Distance Education and discover a classroom more than twice the size of Victoria! Step inside the 747 and 707 jets at Qantas Founders Museum on a guided interpretive tour. Unwind on the Thomson River with the award-winning Drover’s Sunset Cruise followed by live entertainment on the River Stage at Smithy’s Outback Dinner and Show. See amazing dinosaur discoveries at the Australian Age of Dinosaurs on a tour of their Laboratory, Collections Room and the Dinosaur Canyon! Join the Strathmore Station Smoko Tour. Explore the five themed galleries at the Australian Stockman’s Hall of Fame. Meet local graziers on the Camden Park Station Sunset Tour, including an unforgettable dinner under the spectacular outback night sky. Take a day trip to the historic town of Winton and visit the Australian Age of Dinosaurs for an interpretive tour of the laboratory, collection room and dinosaur canyon, and roam the re-built Waltzing Matilda Centre. Journey to the spectacular Channel Country and discover fascinating and remote Outback communities. Enjoy Stanthorpe Food and Wine experiences, Roma Big Rig Night Show, Bonus Downs Station Tour and Homestead Lunch, Cosmos Centre Night Telescope Observation Session, Meet the Bilby Experience, historic Noccundra Hotel, the quaint Eulo township and mud springs, and Thargomindah’s Australia-first hydro-electric street lighting story. Cross the Dingo Barrier Fence into Outback New South Wales and the Sturt National Park en route to Tibooburra. Travel to Cameron Corner where the boundary lines of the states of Queensland, South Australia, and New South Wales meet. Explore the restored Australian Inland Mission building then enjoy a peaceful Cooper Creek cruise in Innamincka. Visit the site of Burke and Wills Depot Camp and see the iconic Dig Tree, a reminder of Australia’s pioneering spirit. Follow the Strzelecki Desert to Birdsville. Toast the magnificent Outback sunset from Big Red sand dune on the edge of the Simpson Desert and meet the locals at the Birdsville Hotel. Visit Deon’s Lookout, with amazing views of the Diamantina Shire, and Betoota Ghost Town. 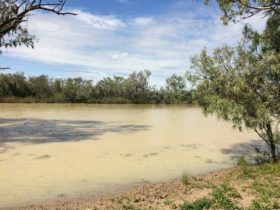 Follow the Thomson River floodplain via Jundah and Stonehenge to Longreach, where we visit the top attractions of Longreach . The picturesque Far West Outback region is a fusion of stunning red sand hills, abundant wildlife and magnificent flora and fauna. Visit the Qantas Founders Museum, and meet the Smith family at historic Rosebank Station for a tour and morning tea. Take in the pioneering history at Stockman’s Hall of Fame. Relax on the Thomson River aboard the Drover’s Sunset Cruise followed by Smithy’s Outback Dinner and Live Show. Explore the Cooper Creek catchment and follow the Thomson River floodplain to Windorah with its majestic red sand dune landscapes. 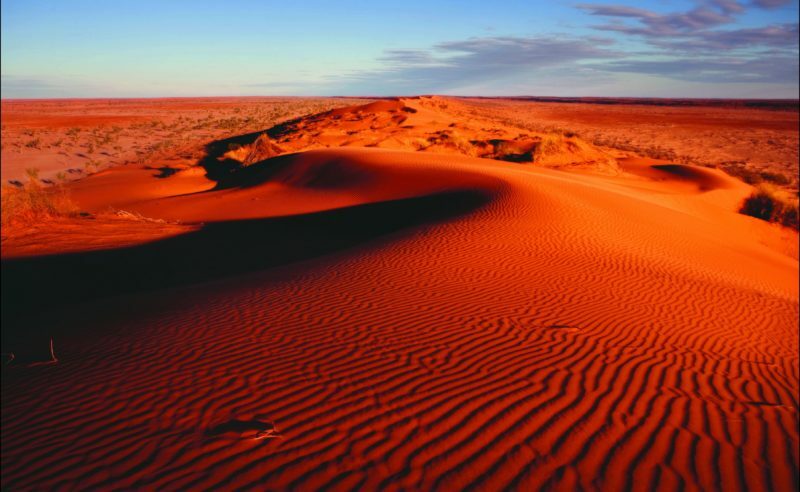 See the ghost town of Betoota and the JC Hotel Ruins then on to Birdsville to see the famous Birdsville Hotel, Inland Hospital Ruins and renowned Birdsville Racetrack before toasting the sunset atop the stunning red dunes of Big Red on the edge of the Simpson Desert. Pass famous Waddi Trees and see the Carcory Ruins, a remnant of European settlement, and the historic Royal Hotel. Visit Boulia’s Min Min Encounter, a tribute to the famed Min Min Light phenomenon, and explore the Boulia Heritage Complex. In Winton discover the re-built Waltzing Matilda Centre, and Australian Age of Dinosaur’s tour, dinosaur canyon and picturesque sunset barbecue. Experience the very best of Outback Queensland’s heartland on this top-selling tour to Longreach and Winton. 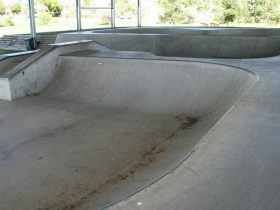 The five night package includes three nights in Longreach and two nights in Winton. 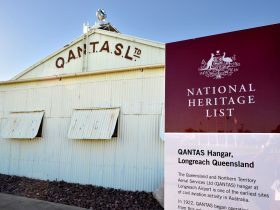 In Longreach, experience the Strathmore Station tour and morning tea; Australian Stockman’s Hall of Fame; Camden Park Station Sunset Tour and Dinner; Longreach School of Distance Education; Rosebank Station Homestead and morning tea; and Qantas Founders Museum Jets Tour. A highlight will be the Drover’s Sunset Cruise on the Thomson River followed by Smithy’s Outback Dinner and Show. The two nights in Winton includes a Winton Town Tour; Waltzing Matilda Centre; the exceptional 95 million year old Dinosaur Stampede National Monument at Lark Quarry Conservation Park; a guided interpretive tour of the laboratory, collection room and Dinosaur Canyon at the Australian Age of Dinosaurs, home to the world’s largest collection of Australian dinosaur fossils; and exclusive access to spectacular private Carisbrooke Station. This tour package is fully inclusive of all meals, touring and entry fees plus some exclusive dinners in incredible locations. Add return rail fares from Brisbane on the Spirit of the Outback. Please ask their friendly reservation team to book rail sectors on your behalf. A truly special adventure to Cape York and Torres Strait Islands on a dedicated small group tour. Travel north along one of Australia’s most scenic coastal drives towards the World Heritage-Listed Daintree National Park, then follow the famous Bloomfield Track on an amazing journey hugging the scenic Daintree Coast to Cooktown. Join a magical, award-winning Aboriginal rock art tour and visit the James Cook Museum. Cruise the mouth of the Gulf of Carpentaria on an Eco Tour and witness a stunning sunset over the ocean to the west. Drive on some of the original sections of the Old Telegraph Track and take a cool swim in the lush Fruit Bat Falls with its crystal clear water (croc free). Stand at the very tip of the continent, the most northerly point of Australia. 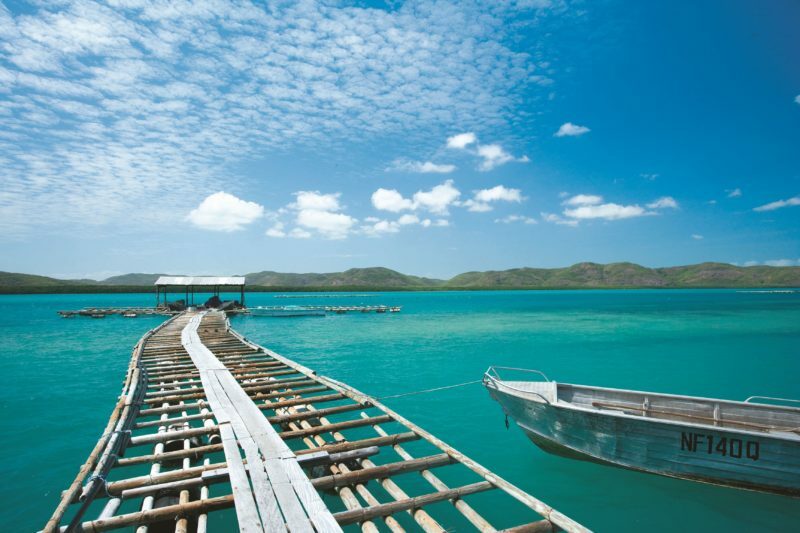 Cruise the turquoise waters to Thursday Island and join a unique tour of Kazu Pearl Farm on Friday Island. Enjoy a guided tour of Horn Island World War II sites and hear about the Kaurareg People, traditional owners of Horn Island. Return on a QantasLink flight to Cairns. Journey from Longreach to Cairns exploring majestic Gulf landscapes and scenic rail journeys. Begin with the top Longreach attractions and a welcome aboard the Drover’s Sunset Cruise on the majestic Thomson River followed by Smithy’s Outback Dinner and Show. Visit Waltzing Matilda Centre and Australian Age of Dinosaurs in Winton. Meet Outback characters at Crocodile Dundee’s Walkabout Creek Hotel and learn how the Royal Flying Doctor Service began. Explore Mount Isa’s Outback at Isa and Riversleigh Fossil Centre. Travel through Normanton to Karumba to join a nature cruise, tour the Barramundi Discovery Centre and take a special Sand Island at Sunset Cruise on the Gulf of Carpentaria. Board the Gulflander and take a scenic rail journey through the Gulf Savannah Bushland. Arrive at the hidden Outback oasis, Cobbold Gorge for a relaxing two-night stay including a tour and cruise of Cobbold Gorge. Travel the iconic Savannahlander rail for a scenic rail journey. Visit Mount Surprise and explore the fascinating Undara Lava Tubes. Gain a close-up view of one of the most amazing rainforest eco-systems in the world as you cruise Lake Barrine before arriving into Cairns. Take in the best of Longreach, Winton and Barcaldine on an 8 Day Outback Summer Escape. Visit a classroom twice the size of Victoria at the Longreach School of Distance Education (or be intrigued at the Longreach Powerhouse Museum during school holidays). Wander the five themed galleries at the Australian Stockman’s Hall of Fame. 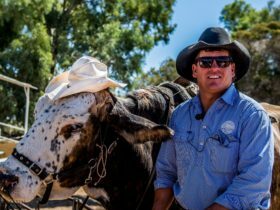 Late afternoon, experience the warm hospitality of local graziers on their Camden Park Station Sunset Tour including an entertaining station and Homestead tour followed by an unforgettable sunset dinner under the stars. Take a day trip to Barcaldine for a town tour, including the Tree of Knowledge, and to visit the Australian Workers Heritage Centre. Board the MV Explorer for the Drover’s Sunset Cruise on the Thomson River and enjoy the entertaining Smithy’s Outback Dinner and Show. Visit the Australian Age of Dinosaurs in Winton for an interpretive tour of the laboratory, collection room and dinosaur canyon. Take a town tour of Winton and visit the re-opened Waltzing Matilda Centre. Wander the Qantas Founders Museum and step inside the 747 and 707 jets. Roam the intriguing Ilfracombe Machinery and Heritage Museum before enjoying a special dinner at the Historic Wellshot Hotel. Take in the best of Longreach and Winton on a 7 Day Outback Summer Escape. Take a short drive to Ilfracombe to roam the intriguing Ilfracombe Machinery and Heritage Museum before enjoying a special welcome dinner at the Historic Wellshot Hotel. Start the next day with a Longreach Town Tour, including downtown Longreach. Wander the Qantas Founders Museum and step inside the 747 and 707 jets. Board the MV Explorer for the Drover’s Sunset Cruise on the Thomson River and enjoy the entertaining Smithy’s Outback Dinner and Show. Visit a classroom twice the size of Victoria at the Longreach School of Distance Education (or be intrigued at the Longreach Powerhouse Museum during school holidays). Wander the five themed galleries at the Australian Stockman’s Hall of Fame. Late afternoon, experience the warm hospitality of local graziers on their Camden Park Station Sunset Tour including an entertaining station and Homestead tour followed by an unforgettable sunset dinner under the stars. Take a day trip to Winton to visit the Australian Age of Dinosaurs for an interpretive tour of the laboratory, collection room and dinosaur canyon. Enjoy a town tour of Winton and visit the re-opened Waltzing Matilda Centre. Discover the best of Longreach, Winton and Barcaldine on our 6 day Outback Escape. Visit a classroom twice the size of Victoria at the Longreach School of Distance Education (or be intrigued at the Longreach Powerhouse Museum during school holidays). Wander the five themed galleries at the Australian Stockman’s Hall of Fame. Late afternoon, experience the warm hospitality of local graziers on our Camden Park Station Sunset Tour including an entertaining station and Homestead tour followed by an unforgettable sunset dinner under the stars. Take a day trip to Barcaldine for a town tour, including the Tree of Knowledge, and to visit the Australian Workers Heritage Centre. Board the MV Explorer for the Drover’s Sunset Cruise on the Thomson River and enjoy the entertaining Smithy’s Outback Dinner and Show. Visit the Australian Age of Dinosaurs in Winton for an interpretive tour of the laboratory, collection room and dinosaur canyon. Take a town tour of Winton and visit the re-opened Waltzing Matilda Centre. Wander the Qantas Founders Museum and step inside the 747 and 707 jets. 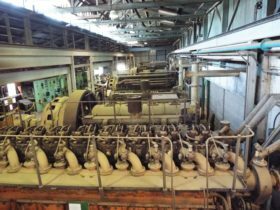 Roam the intriguing Ilfracombe Machinery and Heritage Museum, or “Great Machinery Mile”, before enjoying a special dinner at the Historic Wellshot Hotel.